Namecouth, (adj.) known by name; well-known, famous; notorious (rare). Fat Ron, Polish Stosh & the Warrior. & the street when passing that place. basking on Tattasit. The Zip destroyed in fire. The Barrel auctioned to Cork. with child, buried under a rock near the road to Green Hill’s tool shed. Hand among the elms of Elm Park. The ghost of my own little dog still barking. If Matthew O’Leary call 911! I drive through other people’s dreams. Lea Graham is the author of the forthcoming chapbook, This End of the World: Notes to Robert Kroetsch (Apt. 9 Press, 2016), the poetry book, Hough & Helix & Where & Here & You, You, You (No Tell Books, 2011) and the chapbook, Calendar Girls (above /ground press, 2006). Her poems, translations and reviews have been published in Notre Dame Review, Southern Humanities Review and Fifth Wednesday. 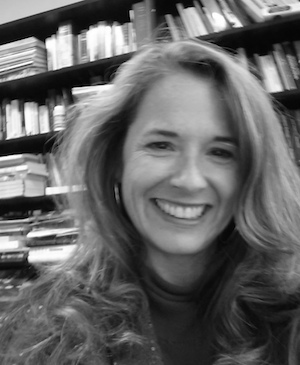 She is a contributing editor for Atticus Review’s feature, “Boo’s Hollow,” which showcases poets’ writing on place. She is an Associate Professor of English at Marist College in Poughkeepsie, New York.